Jet Luxury Resorts guests receive the guaranteed best rate and elite access into exclusive inventory at The Vdara Hotel Las Vegas. All hotel amenities are provided with your reservation. The Vdara Hotel and Spa is an all-suite Las Vegas luxury rental boutique condo-hotel with 5 Star amenities and a sophisticated international flair that appeals to guests who love the energy and excitement of Las Vegas, but who choose to experience luxury in an exclusive non-gaming, smoke-free environment. The Vdara offers contemporary interior spaces with sleek 5 Star modern hotel amenities and concierge services, a rooftop pool, lounge and spa and an atmosphere bound to surpass all expectations. 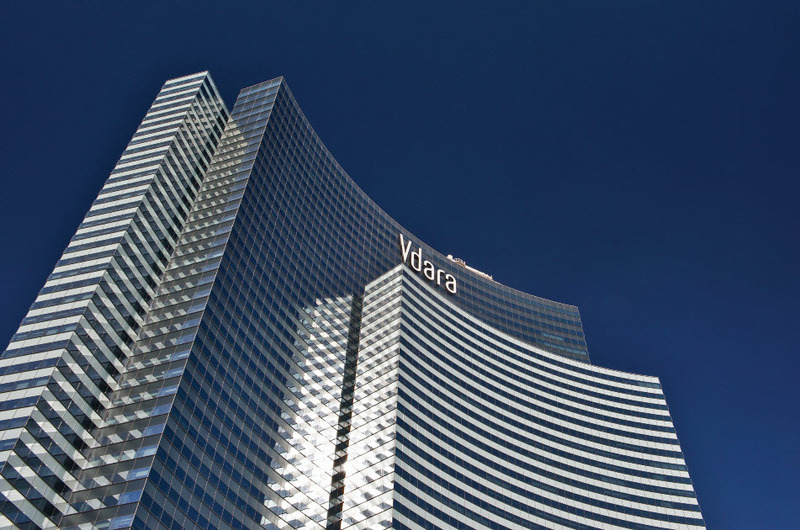 The Vdara luxury hotel is connected to The Bellagio and adjacent to ARIA Resort & Casino, steps away from shopping centers and gourmet restaurants. It is located at the new City Center, Las Vegas’ newest luxury rental collection of hotels, shopping and entertainment community. City Center is a unique and modern urban oasis in the heart of Las Vegas filled with luxury hotels, fine dining and state-of-the-art entertainment plazas. The Vdara Hotel and Spa in Las Vegas will offer all of the exceptional amenities and superior services of affordable luxury that you have come to associate with the Jet Luxury Resorts properties. Make Jet Luxury Resorts @ the Vdara “Your Access to Luxury” in Las Vegas.